Just as car salesmen have been stereotyped as desperate, pushy, and less-than-ethical, women have been typecast as nervous, hesitant, afraid to approach a car lot for fear of being bullied, overpowered, or taken advantage of. While we’re sure automotive customers of both sexes can report excellent – as well as painful – car-shopping experiences we’ll also concede that history does include a couple decades during which it was generally accepted that men held the power, and therefore, the wallet, and women were left to play only the role of supportive spouse during automotive negotiations. But, according to swapalease.com, those times are changing, and in a big way! 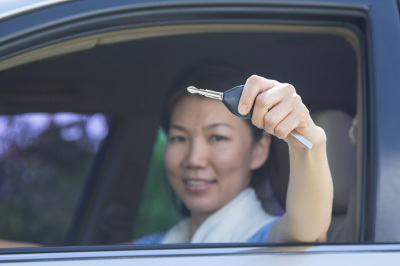 The automotive lease marketplace conducted a study of more than 1,000 drivers during a one month period in summer 2014. The study focused on negotiation skills, who has ’em and who doesn’t, and who enjoys the process of haggling over cars. Turns out more women than men are comfortable negotiating! In fact, more than a third of female respondents said the negotiation process makes car-shopping fun. That’s compared to just a quarter of the men. Both sexes, though, prefer to enter into negotiations armed with plenty of information. For more on the study’s results click here. Image courtesy of tiverylucky at freedigitalphotos.net.